It was an inspiring weekend at the StrengthBox. 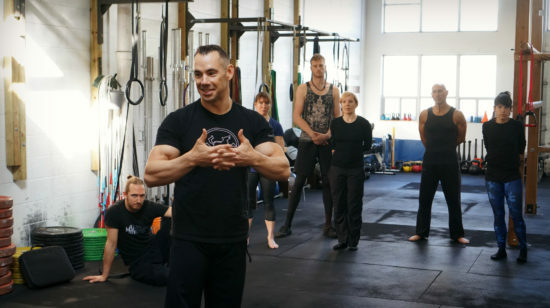 Steve Atlas taught a 2-day workshop to a full house of eager students, the latter representing a diverse set of skills, abilities and experiences. Stacked with a ton of education, plenty of movement and even a few laughs (Steve likes to do impressions), the event was one of the most energized we’ve ever hosted. Steve Atlas is based in Spokane, Washington – and coaches athletes from all over, both online and at his studio locally. He has been coaching for over 20 years, and can probably be described best as a “kinetic educator”. His experience encompasses martial arts, yoga, weightlifting, dance, gymnastics, hand balancing and bodybuilding. That’s a huge variety in modalities. Which brings us to one of the take-aways from the workshop: When it comes to physical culture, you don’t have to lock yourself into a particular dogma. Bodybuilders get criticized for being overly tight and inflexible, and for not being capable of moving gracefully and efficiently. People in the current movement culture get criticized for being overly purist in their distain for training aesthetics. Atlas thinks it’s reasonable (and in fact desirable) to train the full spectrum. It’s OK to have a “back and chest day”, with one caveat: Work on the skills before you train for aesthetics. 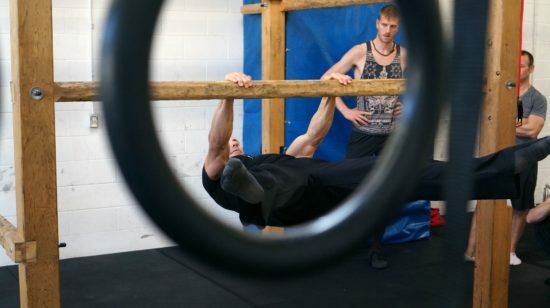 Over the weekend, we were taken through Steve’s agenda, which covered mobility, conjunctional movements, his leg template, bodyweight pushing and pulling, inversion balance, hand balancing, resistance training, and his thoughts on nutrition and supplementation. 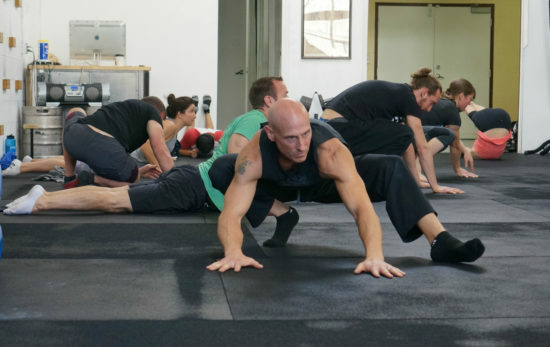 Atlas offers a multi-disciplinary approach to fitness and movement education. That’s why he’s appealing to so many. He’s attracted a slightly more mature following, many of whom started later in life. 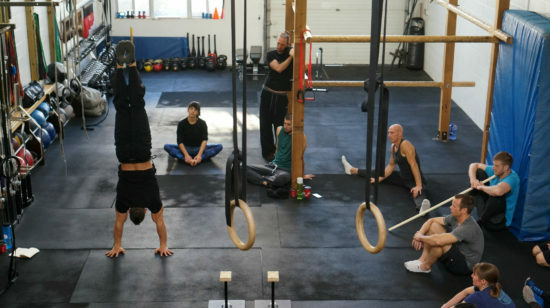 He has the ability to connect with them, understanding what it’s like to be “human” — when you’re not super flexible, when you have nagging injuries and limitations, when you haven’t trained gymnastics as a kid and are trying learn complex movements as an adult. His philosophy and non-judgemental approach are welcomed. 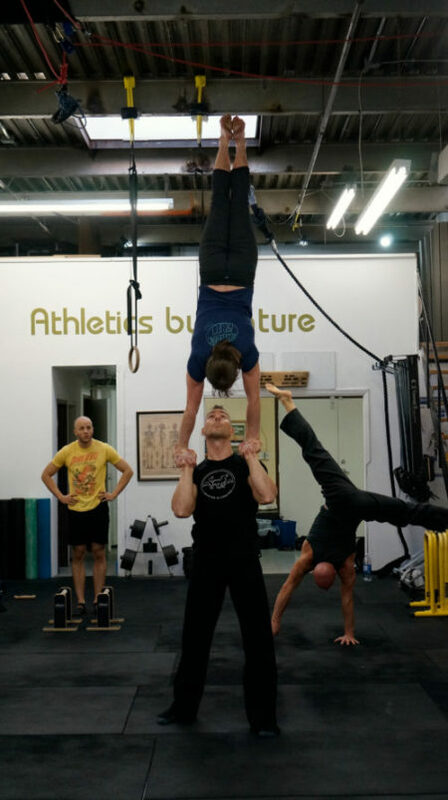 The 16 participants in this past weekend’s StrengthBox workshop ranged in ability from beginner (at least in terms of mobility and skills) to high-level athletes and movers. 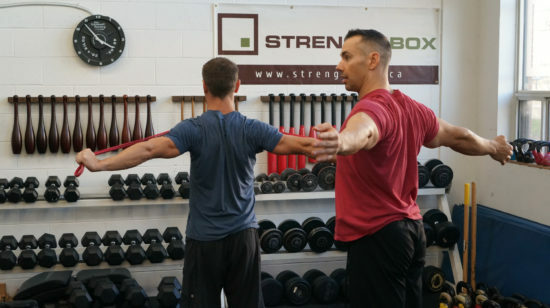 The environment was more cooperative than competitive (which aligns with our own StrengthBox values) and thus everyone was able to take away something valuable that they will be able to add to their own practice. If you missed this event or were on the waiting list (the workshop sold out almost immediately), know that we plan to host Steve in Toronto again. Connect with us on Facebook for updates. In the meantime, be sure to check out Steve’s website The Atlas Movement. There, you’ll find out more about the man, his programs and philosophies, and various options for online coaching and mentorship.